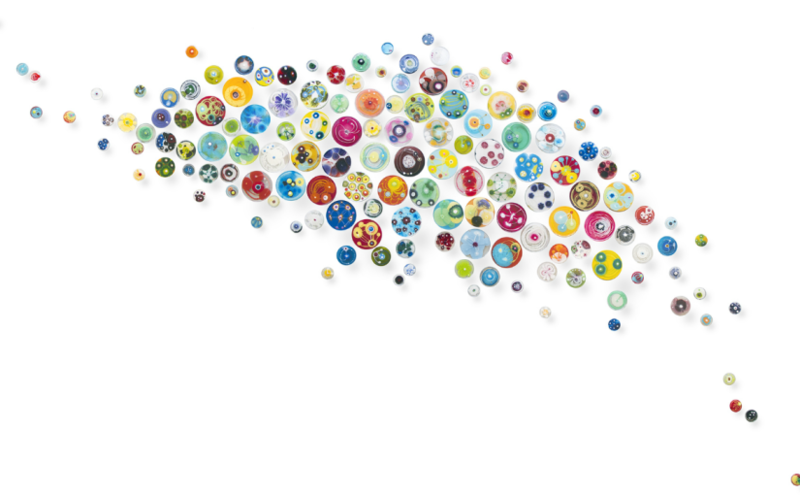 Have you seen these petri dishes? 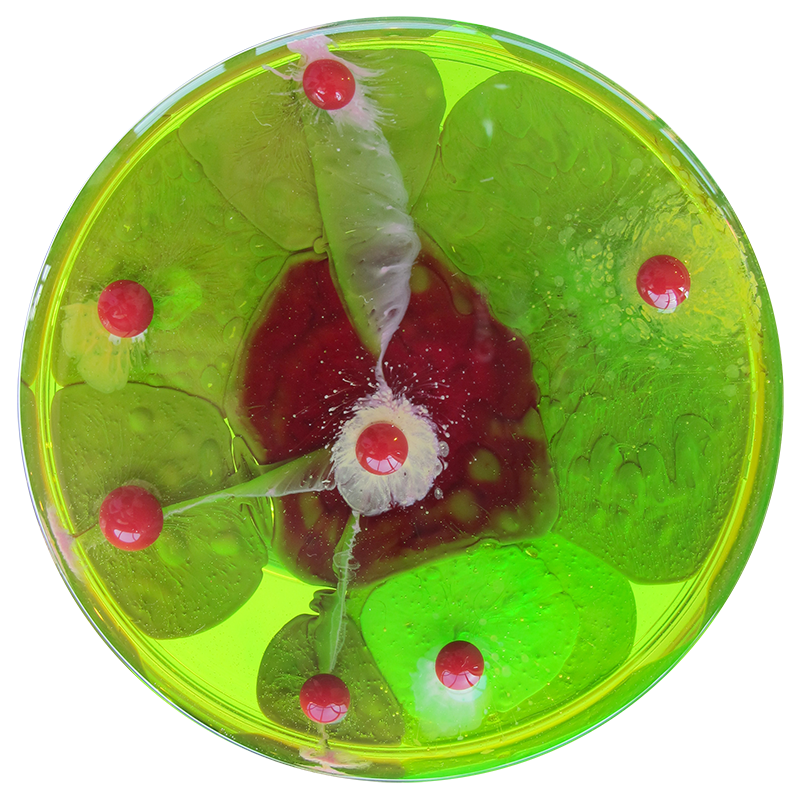 You may have already seen these petri dishes. 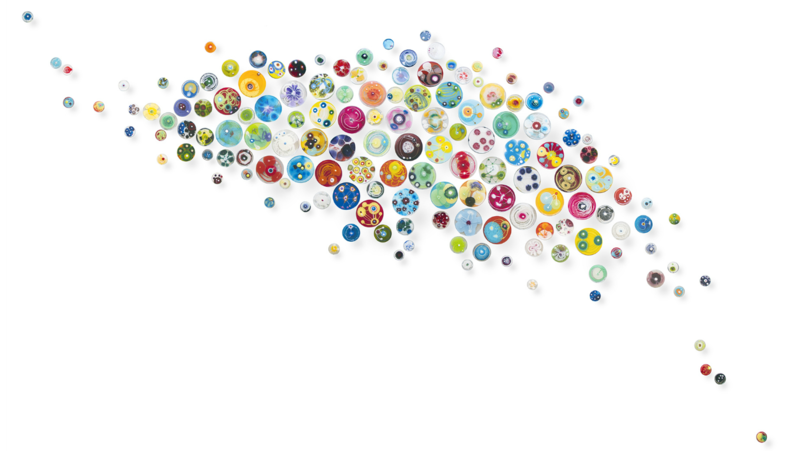 Or, more precisely, this petri dish art. Contrary to what a lot of people online have said, these are not bacteria, or moulds, or any other stuff that you would grow in a petri dish. Although the San Francisco based artist who makes them did tell me she is flattered people think these are bacteria. 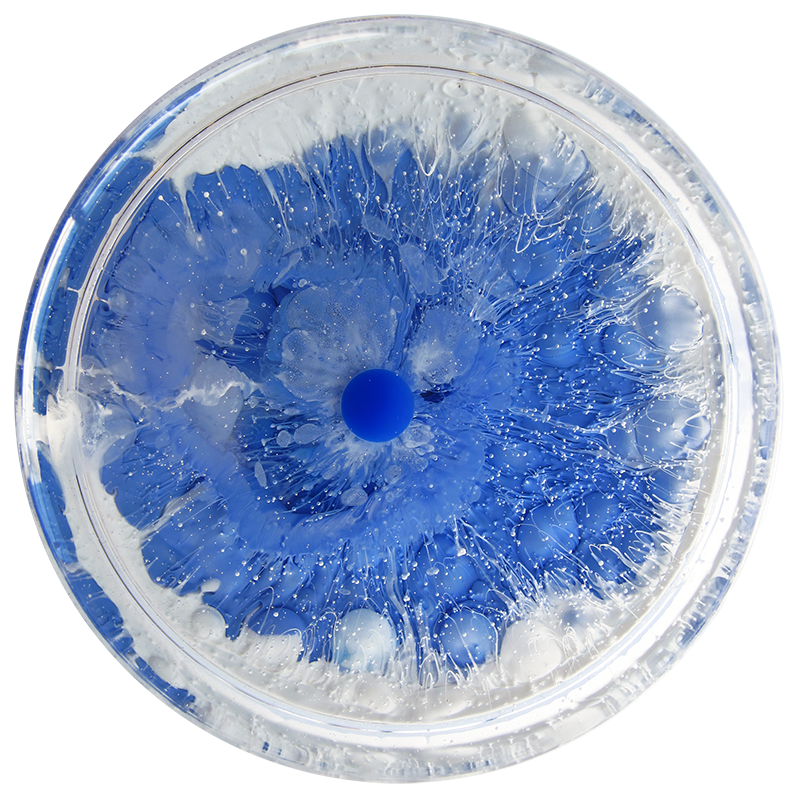 Klari Reis is inspired by science in art, and her favourite medium is epoxy polymer – she fills petri dishes with this clear plastic, building up an image from layers and layers of pigments and dyes, blobs and smears. Klari paints every day. There is a peculiar similarity between her work and this writing project. For three years – in 2009, 2013 and now 2015 – she created a daily dish. The finished pieces would end up as installations of colourful dishes arranged on white walls, jutting out on steel rods. Here’s one of them. You should also watch the video below to learn more about Klari’s art, and visit A Daily Dish for more beautiful plastic paintings. Update: When doing blog review, I discovered I used day number 303 twice in a row – so I’ve updated the title to reflect this.